Non-lethal munitions are used to provide a standoff capability in conjunction with riot/crowd control, police actions or other situations where use of deadly force is unwanted or unwarranted. United States forces are involved in war, Support Operations and Stability Operations across the globe. Maintaining/establishing law and order, countering civil disturbances and responding to various levels of threat have been recurring tasks for US Military Forces involved in joint, multinational and interagency operations. 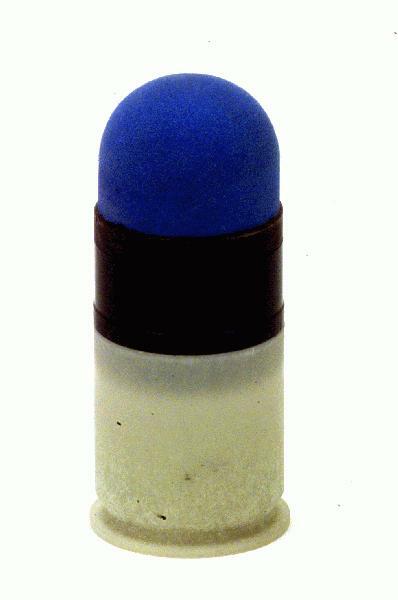 The 40mm-sponge grenade provides temporary incapacitation through blunt trauma. It provides a tactical alternative for dealing with low-intensity conflicts, peacekeeping missions, and humanitarian relief missions. The projectile consists of a foam rubber nose and a high-density, plastic projectile body fired from the 40mm M203 or M79 Grenade Launchers. Minimum engagement range is 10 - 15 meters, and maximum effective range is 50 meters. Velocity at 50 meters is 200 feet per second. In emergency situations limited quantities are available within 72 hours, larger quantities normally procured in 30 days after receipt of order. 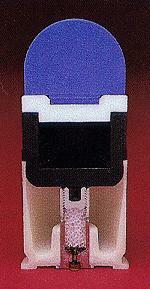 Through 3rd quarter of FY 98 this item cost approximately $55 per round. After 3rd quarter FY 98, prices decreased to $25 per round, based on larger quantity purchasing for contingency stock.